← Survey result: Is ‘Made in USA’ important? Wednesday, November 13, 2013 at noon EST. Internet Audio: Simply select the internet audio option after join. If prompted, enter the meeting number: 21972307, then press #. 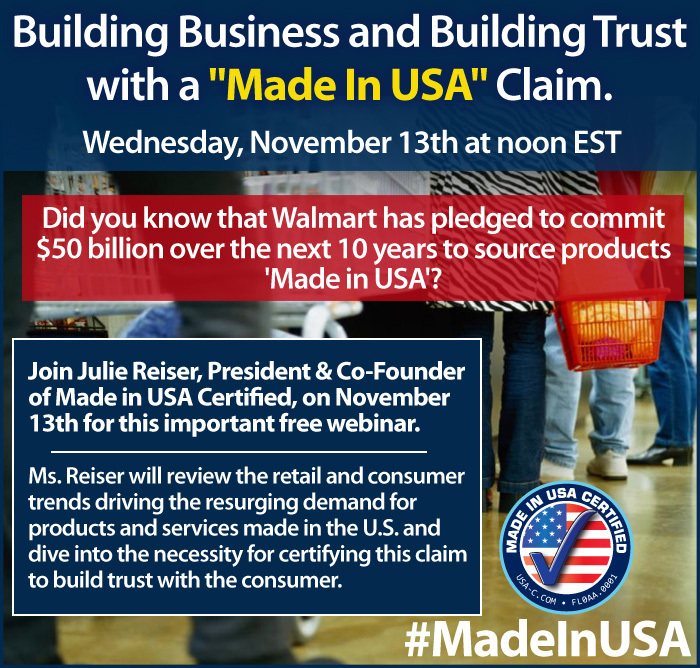 This entry was posted in Company News, Julie Reiser, made in america, Made in USA, Webinar and tagged Building Business with the Made in USA Claim, Julie Reiser, made in america, made in usa, made in usa certified. Bookmark the permalink.